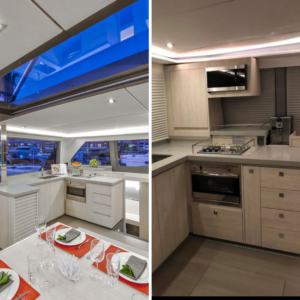 Just Catamarans service team recently completed two projects on a Leopard 45 Sailing Catamaran and Leopard 51 Power Catamaran. 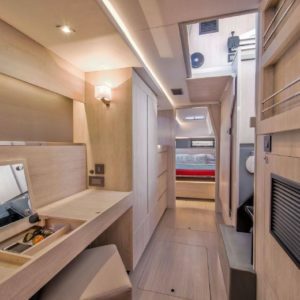 The Service team added a microwave in the galley of a Leopard 45 Catamaran, they also built and installed a storage unit within the Owners Cabin. 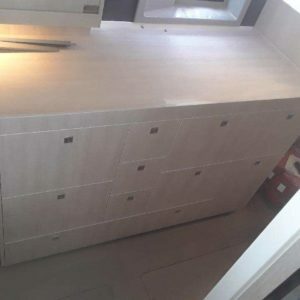 On the Leopard 51 Power Catamaran, our service team replaced a sofa sectional in the owners cabin with more storage.